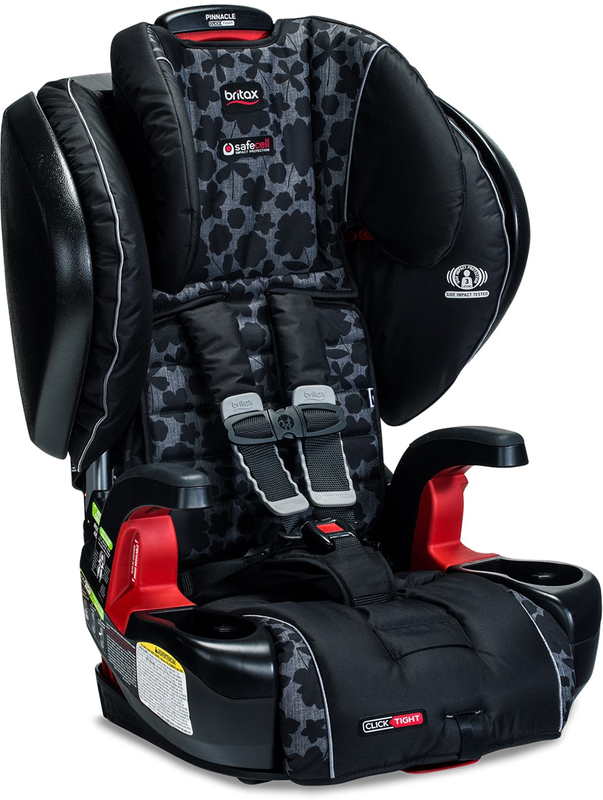 Featuring superior convenience, best-in-class in safety, and premium comfort the Pinnacle ClickTight is quite simply the best Harness-2-Booster Seat that Britax makes. With the revolutionary ClickTight Installation System, now everyone can install the car seat securely and confidently by just buckling the seat belt. You simply squeeze the release button to open, buckle the seat belt across the belt path and then click the seat shut for a proper installation every time* � no shoving, kneeing, or yanking required. SafeCell Impact Protection surrounds your child in safety components that work together to protect well beyond the established federal safety standards. 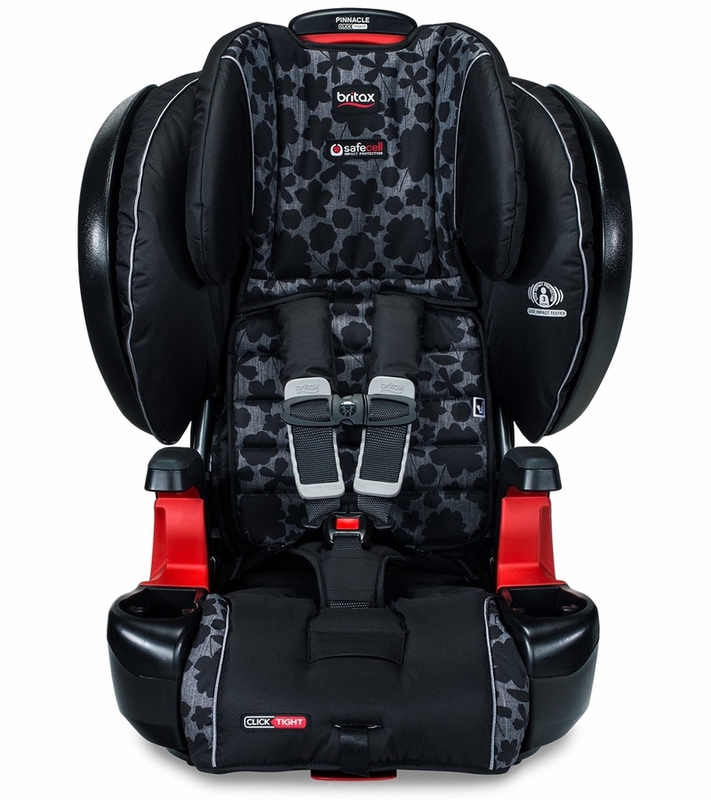 And Complete Side Impact Protection MAX delivers Britax�s highest level of protection featuring cushions on the outside of the seat that maximize the absorption of crash forces and a foam headrest inside that keeps your child�s head and neck extra secure. The proper fit is essential when it comes to safety, so the Pinnacle ClickTight includes our Quick-Adjust, 9-Position Harness and 2-Position Buckle to keep up with your growing child. The EZ-Buckle System stays clear of your little one when placing them into the seat and Plush Foam Padding provides premium comfort at every touch point. Once they�re on board, Integrated Cup Holders and Storage keep snacks, drinks and toys close at hand and there is even a simple Front-Adjust Recline so your toddler can sleep in comfort when the time is right. The Pinnacle ClickTight Harness-2-Booster Seat can be used in Harness Mode for children 2 years old and 25 lbs up to 90 lbs and in Booster Mode for children 40 lbs up to 120 lbs. 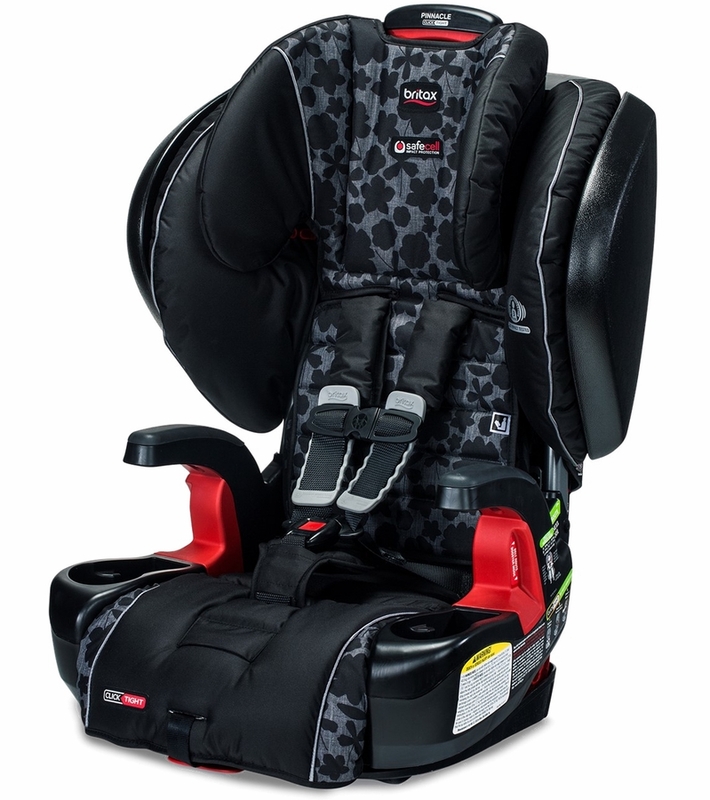 When your child is ready for Booster Mode, the harness can be safely tucked away the within the seat to easily transition the Pinnacle ClickTight into a high-back Booster without any hassles. Everything in the Pinnacle ClickTight is designed to deliver the ultimate in protection and comfort for your growing child and that brings you peace of mind for the exciting journey ahead. SafeCell Impact Protection is an integrated system of safety components that work together to protect your child well beyond the federal safety standards. Including an Impact Absorbing Base, Tether and Harness, an Impact Stabilizing Steel Frame, and Complete Side Impact Protection MAX, SafeCell means your child is surrounded in best-in-class safety. SafeCell Complete Side Impact Protection MAX provides Britax�s highest level of protection: a deep protective shell that absorbs crash forces and shields your child from debris, an energy-absorbing headrest keeping your child�s head and neck secure, and external cushions that compress to divert energy away from your child and protect adjacent passengers. Front-Adjust Recline easily alters the seat angle for your child�s comfort. SafeCell Impact Protection is an integrated system of safety components that work together to protect your child beyond the federal safety standards. Including an Impact Absorbing Base, Tether and Harness, an Impact Stabilizing Steel Frame, and Complete Side Impact Protection MAX, SafeCell means your child is surrounded in best-in-class safety. SafeCell Impact Absorbing Tether minimizes seat rotation with a unique two-strap design and slows forward movement with Britax�s patented rows of stitching that �give-way� one at a time. SafeCell Impact Absorbing Harness keeps your child�s chest clip correctly positioned and absorbs energy in the event of a crash. Compatible with SecureGuardTM Clip to keep vehicle seat belt properly positioned on your child�s hips when in Booster Mode minimizing the risk of abdominal injury (accessory sold separately). 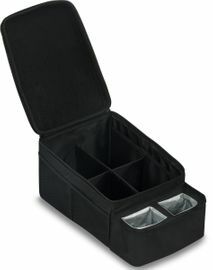 Integrated Cup Holders and Storage keeps drinks, snacks and toys close at hand. Hassle-Free Transition for easy conversion from Harness to Booster by safely tucking away buckles and straps within the seat. We transitioned from a Britax Advocate to this Pinnacle and we couldn't be happier. Our daughter loves this seat, and with her growing, it is so much easier for her to get in and out of the seat. A lot of reviews mentioned how hard it is to tighten down... Not at all! Especially when you rethink how and what you're tightening. This seat will tighten down at the shoulder, rather than the chest. This doesn't mean that it's not snug at the chest, it is, but the method that you move the straps is a bit different. So easy though. Plus, triple side impact protected!!! TRIPLE!! I called Britax customer service just to confirm. They were so nice. Also, this seat installs SO EASILY! We 100% recommend this seat. This was my first Britax purchase. The clicktight install is genius and so easy to do. My daughter loves this seat. I am happy with my purchase. Very difficult to tighen straps! Have been using these seats just over one week. The seats are VERY easy to install but are VERY difficult to tighten. Have seriously thought of returning as I only have to install one time, but must fight to tighen the straps enough to ensure my grandchildren are safe several times each day. The best option for your booster seat kiddo! We debated for a long time over which high back booster. We want the safest option for our 40lb, small body, 6 year old boy. Even though at 40lbs he fits the weight requirements for just a booster seat and seat belt, we did not feel that was safe for him. We decided to go with the Britax Pinnacle Harness Booster. I love that he can use the harness for quite a few more pounds, 90lbs to be exact. And then he can continue to use the booster and belt option until 120lbs. The click tight install was super EASY. The Safe Wash- Otto fabric is so slick. Easy on and off, with machine washable and dryer safe! We are so happy with this car seat and my son loves it! This seat is great. I have a 4 year old that is as tall as a 6 year old so she was too tall for other seats. This seat is heavy duty, safe, and will easily be installed into any vechile you need. I loved it so much I bought a 2nd for our other vechile. This is the second Britax Pinnacle Clicktight Booster Seat I have purchased. Absolutely love them. super safe, easy to install, comfortable and just overall the best of the best. You can't get any better than this! 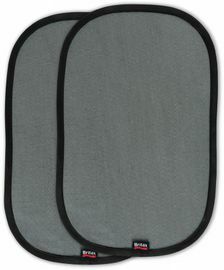 Proseasy to install, super safe with the triple fabric, easy to clean, comfortable, dual cupholders. Consabsolutely none. some people may complain that it is difficult to tighten the harness, but you just need to pull the slack from the lap section to the chest and then pull the tightening belt and voila! No cons at all. Best Usestall children, or correct weight and height. love love love these seats! By Mother of Many, Mama to 3. Best Usesas recommended. we purchased these since our 42 pound 4 year old had completely outgrown the Britax convertible seat because of height! :)~ This seat fits perfect and was easy to install. great price and best value out there for safety and piece of mind! Tope rated booster seat, at a great price, and my granddaughter loves it. Says it's super comfy. I'm very happy with this seat. It has a long useful life and will be usable by our kids for a very long time. We feel confident this seat represents the best value compared to all others. Plus, it's very easy to install and remains nice and tight to the car. Very happy. Great product that offers top notich safety. looking for the safest car seat on the market. The seat did take some time to adjust to my grandson and properly install in our SUV. However reading the instructions is very helpful. tightening or loosing the straps. cars too. We are very pleased with this seat and highly recommend it. ProsThis the Cadillac of car seats so you will pay more. The weight is an indicator of how sturdy it is built and the extra layer of protection. It is a very roomy and the extra 4 inches of width in the headrest area wasn't noticeable to us but we installed it in a mid sized SUV. We bought this car seat about a year ago. At first, it worked fine, but now the latch that allows you lock the seat belt down to secure the car seat has become impossible to snap into place. Even with the seatbelt out of the way it has to be slammed into place to get it to secure. Extremely disappointed given the cost of this car seat. Poor quality and design. We bought this seat because my kid had a choice of going to a booster in his existing seat or using a full harness in another seat. We already has diono seats, which are great for travelling with. However this seat was by far the easiest seat I have ever installed. It is a very sturdy seat. It's unfortunate it weighs so much, but it weighs similar to the diono. 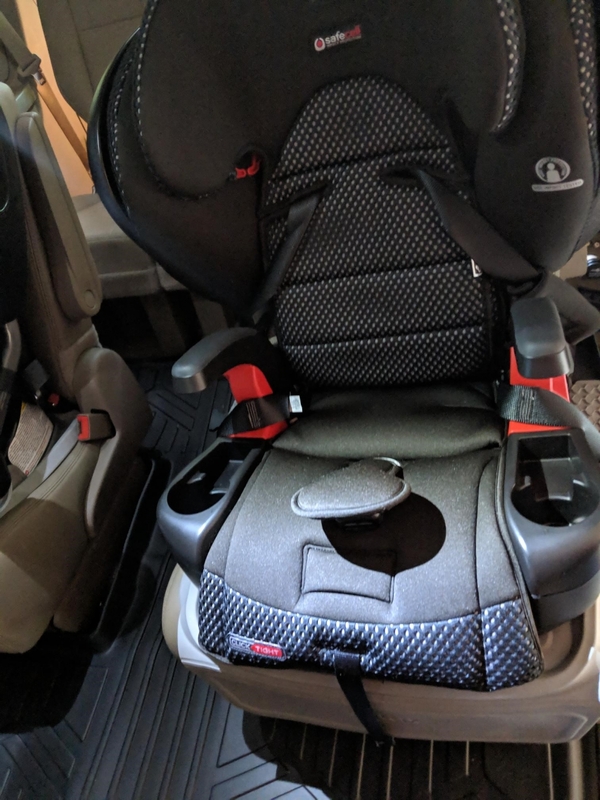 The adjustments are much easier to the diono and allows me to alter it for another child very easily without having to remove the seat. Both the crotch and shoulder harnesses can be adjusted without removing the seat. This is our 2nd Pinnacle. We bought one for our oldest child several years ago. Our youngest recently out grew his seat and we had no doubts that we wanted a 2nd pinnacle for him. The click tight makes installation a breeze. The safety features are unmatched. This was my first purchase from Albee. I was very happy with the transaction. Most other sites will not apply discounts on Britax, but Albee does. This was by far the best deal. Product shipped immediately. Was happy to see manufacture date was the prior month. It hadn't been sitting in a warehouse for an extended time. Completely satisfied customer! Very easy to install securely. The only thing I don�€™t like is that the straps get twisted really easily. Bought this model for my daughter after owning an older model for a few years for my oldest. Both the product and the shopping experience was top notch and simply could not have been better. Wonderful carseat and purchase experience! We absolutely love this carseat! 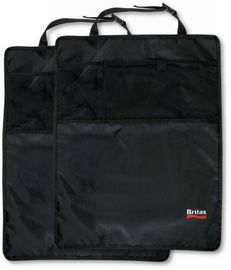 My 4 year old says its very comfortable, it's so easy to install, and Britax is a brand we trust. We have not had issues tightening the harness as others have mentioned. I did make sure everything was adjusted perfectly to fit my daughter before we installed the seat. Hope this helps others, as I was a bit concerned about this. Highly recommend this one :) We had a coupon for 20% off which was AMAZING and it arrived within a few days. I bought this car seat for my grandson because of the safety features which you can read about on line. He loves it due to the comfort factor. I think it�€™s the best overall product of this type you can buy. It will last him until he reaches 120 lbs., he now weighs about 45 lbs. Since it is made very well it will last until then i�€™am sure. Worth the extra money. ProsSafety A+, Comfort A+, Attractive too. Love, Love, Love, this car seat. My son hated his car seat at around 3 he said he wanted a big boy seat that wasn't so big. I got him this seat and he loved it. We had it for a year and it was still like new. I am buying our 2nd one now due to the other one being unsafe after being in a car wreck. I recently moved my (almost) 4 yo to a 5-point harness booster (only a few days ago, actually). We went with the Britax Pinnacle clicktight. We're sort of brand loyal to Britax for the safety of their seats; he was in an Advocate clicktight previously, which we loved. (We only moved him out of it because we moved our youngest out of the infant carrier and into the Advocate.) I read the reviews for the Pinnacle, so I expected that the harness would be difficult to tighten based on the reviews. However, I underestimated just how hard it would be. It literally takes everything in me to tighten the straps properly, and after only a few times of putting him in and pulling with all of my might, it pulls the seat loose, which completely voids the safety of the seat. I'm frustrated, and willing to only give it a few more days to see if we can find a way to keep the seat secure, while also being able to pull the straps tight enough. Almost every reviewer that said the straps were hard to pull also said that they were keeping the seat because of the safety of the seat and they could deal with the difficulty. However, nobody mentioned that they were pulling the seat loose, which is my problem!! It's so frustrating because I want to love this seat, but it's not worth having to reinstall it daily! I should note that the seat is installed using the seatbelt because my child is 40 lbs, which is the weight limit to use the lower anchors. If it is installed using the lower anchors, it doesn't budge when I have to pull (with everything I have) to tighten the straps. I could live with that, BUT I can't live with the seatbelt installation not holding up because I have to pull so hard. It is ridiculous and very frustrating. Otherwise, it's a sturdy, comfortable, amazing seat that I know is safe for my child. 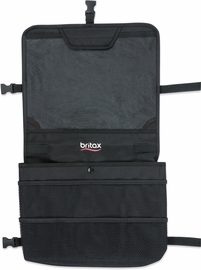 If Britax could address and fix the harness issue, it would be a 5 star review! My son loves the arm rest and cup holders. I have had this seat for a couple of years now and love it. I agree with the other reviews that the strap at the base of the seat between the child's knees which tightens the straps that go over their torso, chest and shoulders is pretty darn hard to pull. Please don't allow this to deter you from buying the seat, it's a minor inconvenience for the best safety for your kid. 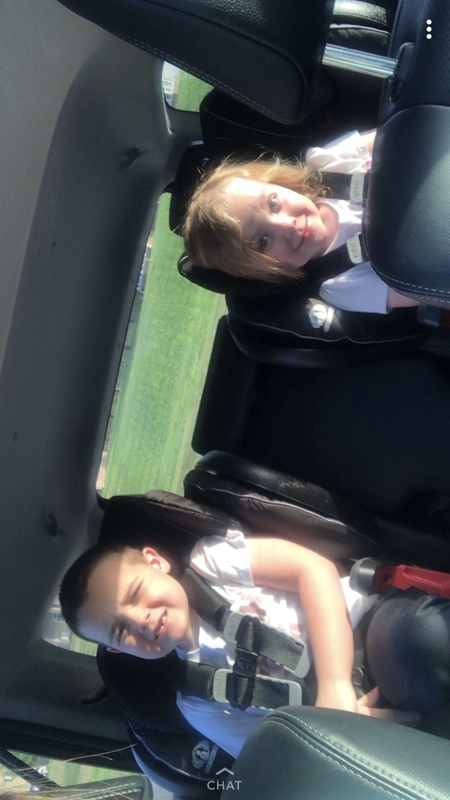 TIP = If the car seat is on the passenger side rear seat, sit in the drivers seat, facing forward, reach back, grab the strap and pull parallel to the floor toward the front of the car. It works for me every time. The key is to keep the strap parallel as you pull away from the car seat. You can't do this if you are standing outside the car leaning in, because the back of the front seat gets in the way. If the car seat is on the drivers side rear seat, you can try from the drivers seat also, but probably easier if you try from the front passenger seat. Saving $50 - $75 and buying a car seat with less features is not worth my kids life. I will save money else where, like brown bagging my work lunch for a few weeks. Easy to install.A bit heavy to carry, but worth it for the safety features. I love the look and of course the safety of the new Britax. I can take my child anywhere knowing they are in the best car seat money can buy. Sturdy, Safe, Comfortable and our 4 year old son loves it. 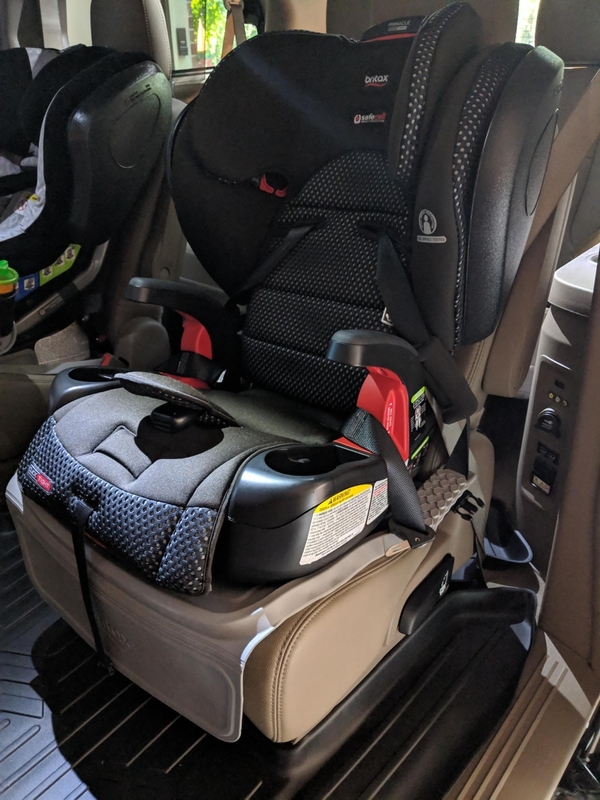 I bought one in January for my wife's car and our 4 year old loves it so much he wouldn't stop complaining about his old car/booster seat in my vehicle so I just purchased a second one for my vehicle. I love that we can keep him in the harness restraints until 90 lbs. I love this seat, the print is super cute and its as safe as you can get, will buy another for our second car. 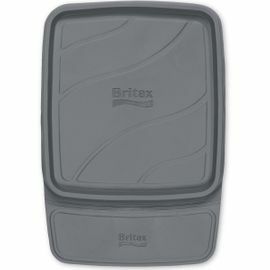 I have used Britax car seats since my son was born. I love the quality and the safety they provide. I was nervous having my son forward facing but the extra side impact protection puts my mind at ease. My husband and I also the the click tight since it is so easy to strongly secure the car seat into the correct position. We absolutely love this car seat. It is super sturdy, and the ClickTight feature makes installation super easy and secure. I love that you don't have to re-thread the straps as the child gets taller. I also love that it goes up to 58 inches and 90 lbs for harness mode. My daughter says it is very comfortable, and loves the arm rests and cup holders. My only complaint is the price. This booster had all My confidence. Its really easy to install and fit perfect to the car, with the adiccional rear anchoring stay really fit to the car seat. Its really confortable to My 5 year old child, she now gives her advocate to his brother. This car seat is the best. Is it sturdy when installed, covers my toddlers head and the tripple side protection gives me peace od mind in case something would happend. Installation was easy, harnes fits nice and tight. My toddler loves it. We own 3 of these! Our boys are taller and these allow them to sit in a 5-pt harness longer than any of the competitors. Lots of our travel is on 65mph roads and we have peace of mind knowing that safety tests show they will be protected. Our boys have sat in them for 7 hrs on long trips without complaints about their seats. Happy that they will be able to use them as a booster as well. They do take up more room but it works for us as we have captain's chairs in our mini van. outstanding; only complaint = so hard to tighten! 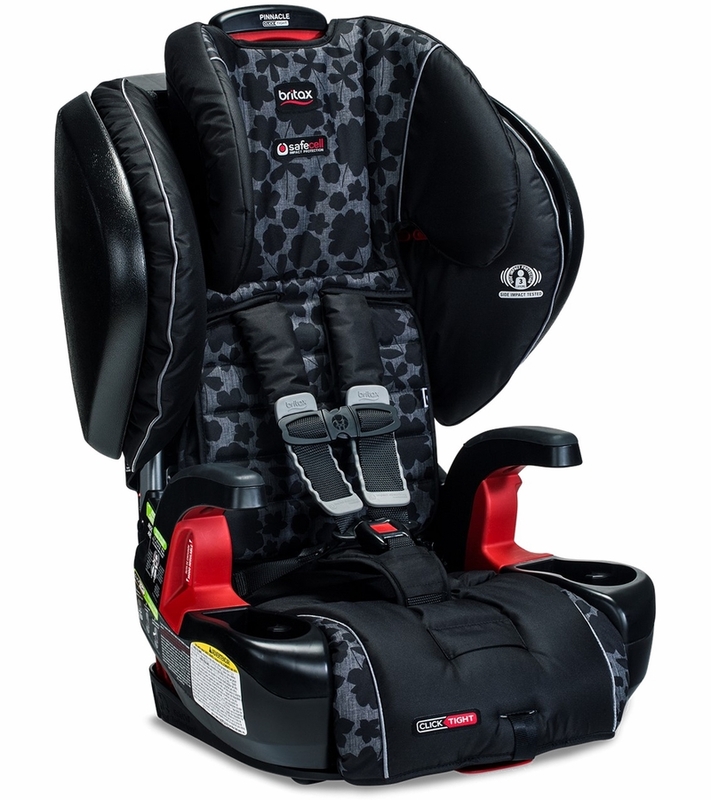 Easy to install, very comfortable for our son, and I love the safety features. However, I agree with the reviewer who says it's hard to tighten. My husband and I constantly complain about this--you have to pull with ALL YOUR MIGHT to tighten it sufficiently. I wish it had the "click safe" feature our Advocate seats have. That is an absolute breeze. Love the seat but wish I didn't have to get my massive arm workout and hear my husband cursing each time we put our son in it! The clicktight installation is amazing- it's so easy and I know my seat is intalled correctly every time. Also, can't beat the safety features of britax. My son is comfortable and loves his cup holders. Everyone is happy. Had this car seat for a couple of years now. Far superior above all other car seats in my opinion. I feel my child is safe. The ease of instillation is a breeze. Britax you nailed it!!! My son loves this seat. He seems comfortable and so far we have not had a problem with his head slumping over while sleeping. We bought this for the extra side safety and glad we did. Besides being the safest brand of car seat, it is also very comfortable. Our son loves his car seat. ConsBelts can be hard to tighten but once you get practice then it's fine. My wife and 6 year old daughter were in an accident where the vehicle hydroplaned and went down an embankment. It jumped a culvert and went head on into a large tree. Both airbags deployed. My daughter had a very small mark on her shoulder from one of the straps, but that is all. Britax makes a wonderful product and I will always use them as long as I have children to protect! My little man loves his new big boy seat! He loves having cup holders for his drink and toys. I am so thankful for these seats! I have been using this seat for my children for a couple of years now. I love Britax seats! I have tried other manufacturers, but not again. My children are 4 and 6 years old and they will be in this seat for a long time. I have this seat in every car my children ride in (I have 6). I can sleep at night, knowing that they are protected. The seat is easy to instal. They are comfortable and the cup holders are handy, particularly on road trips. I take the seats out and take them apart to clean them periodically and this is also easy. I usually, just hose them off. The Pinnacle is large and takes up quite a bit of space, but the safety of my child's head is worth it. They are large and heavy, so travel with this booster is not easy. This is our second Britax car seat. Love everything except for the fact it is hard to loosen and tighten the straps when taking our child in and out. This seems to be a complaint on this seat. I've been using two of these for two years now (and an Advocate ClickTight for my younger daughter) and I love them. Easy to adjust, easy to remove and install, they're heavy duty which in my mind equates to safer and more protective. The ONLY drawback for us is the cup holders are a little tight for our kids Camelbak bottles but we have cup holders right next to them in the vehicle that they use. My daughter has been using this seat for a couple of years now. She is an above average sized six year old and she still fits in the straps. The cup holders are fabulous! I bought the pinnacle click tight carseat for my 7 year old daughter about a year ago. It is wonderful, very secure and she is very comfortable and happy in it. It is a bit heavy but still is very easy to install and adjust. About a month ago I was rear ended in my small sedan by a pickup truck going 45mph, and my car was totaled. Thankfully my daughter was not in the car at the time. The carseat however, did not budge and was completely intact. I couldn't believe it. If God forbid my daughter had been in the seat, she would have been unharmed. 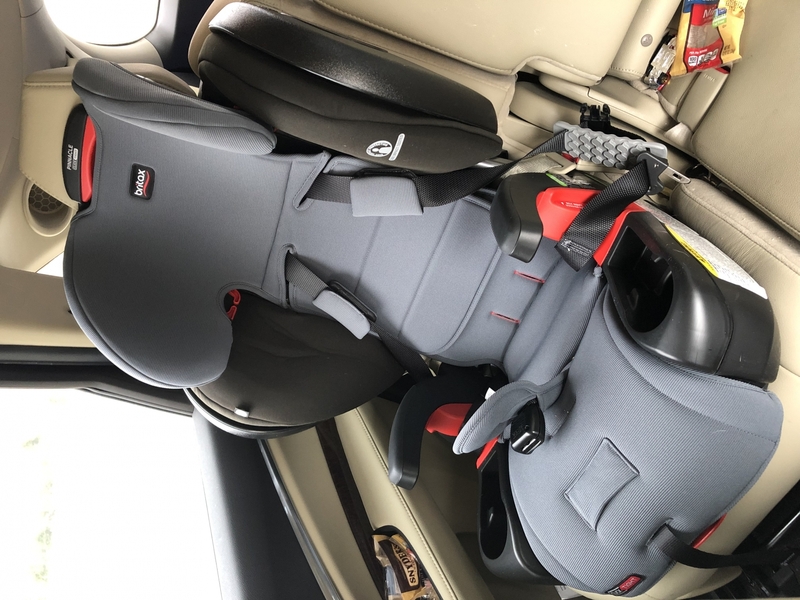 Needless to say, I reordered a new one immediately (Britax recommends replacing seats after any major accident) and have confidence and piece of mind that my precious cargo is safe and sound in her Britax pinnacle. Britax Pinnacle Click Tight Booster is excellent. It is very safe for my grandson, and he loves it. I absolutely feel that my child is safe in a Britax. This our third one and drive feeling that our child is in the best possible seat. Installation is easy to follow. The straps are a bit difficult to tighten and I don't always feel that they have tightened as much as they could or should as there is movement/room between the straps and my child and I need to re-do, which doesn't always solve the problem. Also, there are times when the straps won't loosen and I have to take my child out and try to loosen with him out of the seat before putting him in the next time. 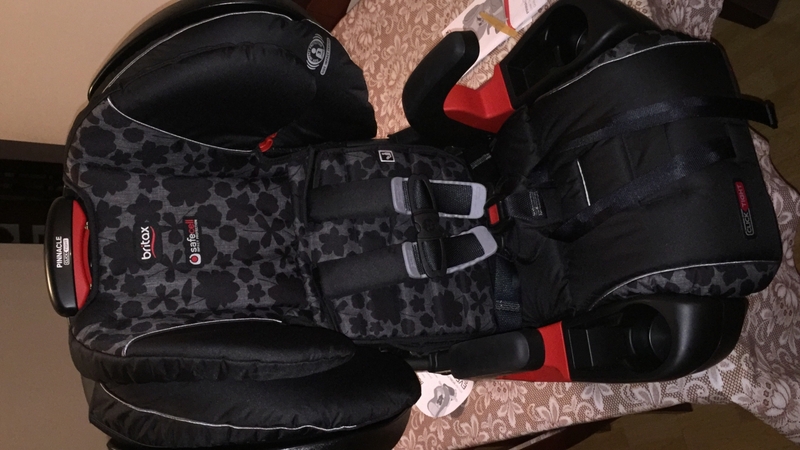 I believe in the product so much, I bought two infant Britax seats for my sister who is expecting twins. With respect to this specific seat, I wish there was an option to remove the back of the booster to make it a true booster seat when my child gets older. I guess that would compromise the safety of the seat. Easy to use and keep clean! I have 3 of these carseats! They are very well made and easy to use. They are also easy to wipe clean. I don't think I could own a different carseat. 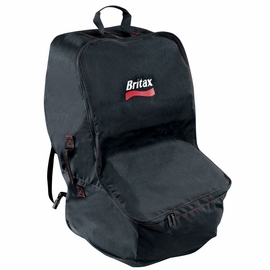 We have now had 5 Britax carseats throughout the years! I also LOVE the click tight feature. This booster seat not only provides comfort, but, safety and support for my granddaughter... Love the 5 point harness..she lets us know if she feels it isn't tight enough..This is the third Britax carseat I have purchased and will have to say I would rate them all with a top star rating due to the safety features provided including the five point harness , click tight mode, and structural support. I would highly recommend this product to anyone. This booster seat not only provides comfort, but, safety and support for my granddaughter... Love the 5 point harness..she let's us know if she feels it isn't tight enough..This is the third Britax carseat I have purchased and will have to say I would rate them all with a top star rating due to the safety features provided including the five point harness , click tight mode, and structural support. I would highly recommend this product to anyone.